Brand Autopsy: Broken Windows. Broken Business. 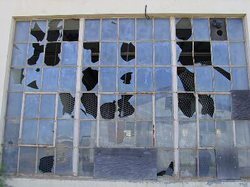 According to Levine, broken windows are telltale signs to customers that a business doesn’t care, that it is poorly managed, and or it has become too big and arrogant to adequately deal with little details. He warns businesses that customers draw wide-ranging conclusions based upon their perceptions of the broken windows they find. These negative perceptions will undermine a business as they can turn once highly-satisfied customers into very-dissatisfied customers who choose take their business elsewhere. Levine contends the best time to fix a broken window is the moment they occur. He continues by saying the only sustainable way to avoid and repair broken windows is to foster a culture where obsession to detail and a compulsive drive to fix broken windows permeates throughout a business. I love the broken windows in business premise! It meshes totally with the Starbucks Tribal Knowledge of EVERYTHING MATTERS. However, BROKEN WINDOWS BROKEN BUSINESS is a BROKEN BOOK. Why? Because this reader’s perception is what Levine says in 162 pages, could be said in less than 5 pages. Heck … you’ve already learned the book’s premise, gist, and proposed solution which took about 400 words. My advice is to heed the BROKEN WINDOWS BROKEN BUSINESS message by reading and acting upon Levine’s well-written introduction (pdf) to his broken book. I've been dying to express the theory in words, haven't read Tipping Point, but it does support the theory that key to growth is paying attention to all the details. I will pass this on!! Great post and a concept that is right up my alley. Even if it took too many pages to make the point, the more people beating the "small details count big" drum beat the better. Thanks for pointing out a book I would not have known about. And when an author starts using racist examples to make a point, that's a broken window. Steve ... I can't play along with your racist angle. Crime knows no race. My boyfriend and I came across a "broken window" last night, and boy, was it broken... I won't name the company, but Chris ordered a product online about a month ago. Two days ago he still hadn't received it so he contacted them to check the status of the shipping. They told him it was "lost in shipping" so they would refund his card, then process a new sale and ship out a new package. No problem, although we didn't get why they had to refund and then resell, but whatever. Yesterday our downstairs neighbours gave us a package they'd signed for a couple weeks earlier for Chris and forgotten to give to him. Guess what? It was the missing package. Chris contacted the company and told them he'd received it. They had processed the refund but not the resale and had not yet shipped the second package. So he asked them to process the sale but not ship the package. Here's the ridiculous part: they have rules in place that won't allow them to process a sale but not ship. And now that they have to process the sale (to counteract the refund they gave), they have to ship the second package. Since they know he already has one, and they're going to ship him a second one, they contend he has to pay for two (even though he told them he doesn't WANT two) so they're going to charge him for both. I'd say this is an instance where either the policy needs changing or the employee needs to bend the rule due to the unique problem. As it stands, it's a broken window. What do you think? That's good stuff mr. johnmoore. Thanks for sharing your take-aways. I'd love to chime in with a rah-rah, but would feel like such a hyprocrite. I have been negligent in areas of my business at times. Ironically, it emanates from a desire to present excellence. I put off stuff because I want it to be "perfect." Eventually my procrastination is damaging. From the outside looking in, it seems like carelessness when it is exactly the opposite. Unfortunately, the outside perception carries much weight for one's brand. "When the waiter at a Chinese restaurant is named Billy Bob, that’s a broken window." If you read Freakonomics, you get to see a case of what Seth describes as the story being more powerful than the facts. In this case, the analysis suggests that abortion rates had more to do with the decline in crime rates than anything else. thanks to DUST!N's clarification ... I can see your point Steve. Interesting that I also re-read the Chinese restaurant example. I'm not sure it's the author's fault that this is the case, so I'm not ready to pull the trigger on the messenger. After all, when I go to China, all my Chinese contacts have adopted Western names. That doesn't make them or their Western business contacts racist, it makes them sensitive to some admittedly unfortunate realities. So for now it's a sadly legitimate broken window in my book. Hopefully, it won't be in the near future - at neither the restaurant nor the Chinese factory where "Victor" (and not Mun-Lung) is giving tours. In the meantime, I think it would be great to call this out and have Billy Bob adopt a Chinese name while waiting. Mun-Lung is available. And btw, there's also nothing wrong really with enhancing the experience. A "Chinese" restaurant may not have the full immersive thing going ala Disneyland, but that doesn't mean they can't try (and I've been to some that do try). Imagine going to Disneyland and instead of Snow White, you were greeted by Propitianna Smith. I seem to remember that the "Broken Windows" theory had been cast into doubt as the saviour of crime in New York. That other factors such as changes in demographics had played a bigger role than aggressive policing. That other cities with less aggressive policing policies had seen similar falls in petty crime. And that arguably more serious crimes, such as corruption, fraud, etc, which have more wide reaching effects in society were not targeted at all by broken windows policies. The danger for businesses who concentrate on fixing petty problems is that the serious problems tend to go unfixed. Or worse still, unnoticed. But it is the serious problems that generally cause the demise of companies, not the petty problems. Petty problems are irritating, but they are generally the symptoms of a deeper malady. Businesses should use them to identify the malady and fix that with radical surgery, rather than just using sticking plasters to provide instant but temporary relief. I think this is a great post and would very much agree with the broken business theory. However, I think you can push it further. What causes broken windows. Not passers by or vandals in this case, but employees. Often this is because the employees have not be hired using the correct brand criteria, have not been trained to understand what the brand is or are not rewarded to create a great brand experience. This is one of the reasons why we started Red Sky Insights - to help companies put these processes in place and ensure that companies don't have broken windows. Great thread, John! Check out the post by Steve Yastrow on Guitar Center's broken window over on Tom Peter's blog today, www.tompeters.com. Fits right in. I guess I won't be buying this book. Thank you, Sir. I guess I owe you a couple of hours. Great points Mark. Every brand has a story, and the strongest companies make sure that all their employees know what that story is, how to communicate it to their customers, and why their customers should care. If the CEO doesn't know, he can't expect anyone under him to know. I had a professor in college that was also a business consultant and he said that whenever he met with a company for the first time and they would tell them about their problems, he would always ask the CEO, 'Now before I get started, are you willing to accept that YOU may be the problem?'. He said he lost many a client at this point. Graham makes an interesting point and push-back - yes indeed - if there are bigger problems, fixing the details won't help. many business owners refuse to look at the real problem, placing blame on smaller things that don't address the real source of lost business. If you are a restaurant that is constantly understaffed, or the food preperation is inconsitent -changing the decor won't help. I think the "broken windows" theory does come into play if you're up against competition that is very simialr and most things are equal. I have two favorite restaurants. They are identical in almost every way - exact same type of food, service, decor, prices. Same distance from my house. but it is winter here in NY. One restaurant has bathrooms that are always freezing. The other pipes in heat to their bathrooms so they are always toasty warm. Sounds like stupid little thing - but on a cold night, when I know I'm going to have to use the Ladies room - that stupid little thing can be the reason I choose one restaurant of the other. This also goes to anohter point - what's small to you may be important to someone else. maybe it's a girl thing - but never underestimate the importance of a toasty tush. Oh rats, I just bought this, I've only read the intro so far...! LEON’s Broken Window Russell Davis has spotted a broken window in a customer feedback card from the super-cool LEON fast food restaurant concept in London. Good eye and great post Russell.